HOUSTON (KTRK) -- A two-alarm fire in northwest Harris County was sparked by a lightning strike, according to the Harris County Fire Marshall's Office. There's no word yet on whether anyone was hurt in the fire. We're working to get more information and will bring it to you as soon as we learn more. However, the Harris County Fire Marshall's Office says at least two fires today were caused by lightning. 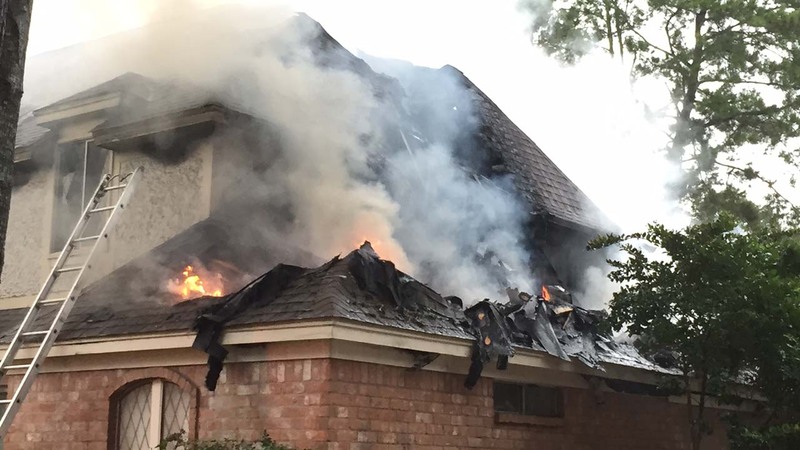 Cypress Creek Volunteer Fire Department says they worked a house fire at 11am that was believed to have been caused by a lightning strike in the 13700 block of Vinery.